By coating tiny gel beads with lung derived stem cells and then allowing them to self-assemble into the shapes of the air sacs found in human lungs, researchers at the Eli and Edythe Broad Center of Regenerative Medicine and Stem Cell Research at UCLA have succeeded in creating three dimensional lung “organoids.” The laboratory-grown lung-like tissue can be used to study diseases including idiopathic pulmonary fibrosis, which has traditionally been difficult to study using conventional methods. “While we haven’t built a fully functional lung, we’ve been able to take lung cells and place them in the correct geometrical spacing and pattern to mimic a human lung,” said Dr. Brigitte Gomperts, an associate professor of pediatric hematology/oncology and the study’s lead author. Idiopathic pulmonary fibrosis is a chronic lung disease characterized by scarring of the lungs. The scarring makes the lungs thick and stiff, which over time results in progressively worsening shortness of breath and lack of oxygen to the brain and vital organs. After diagnosis, most people with the disease live about three to five years. Though researchers do not know what causes idiopathic pulmonary fibrosis in all cases, for a small percentage of people it runs in their families. Additionally, cigarette smoking and exposure to certain types of dust can increase the risk of developing the disease. To study the effect of genetic mutations or drugs on lung cells, researchers have previously relied on two-dimensional cultures of the cells. But when they take cells from people with idiopathic pulmonary fibrosis and grow them on these flat cultures, the cells appear healthy. “Scientists have really not been able to model lung scarring in a dish,” said Gomperts, who is a member of the UCLA Broad Stem Cell Research Center. The inability to model idiopathic pulmonary fibrosis in the laboratory makes it difficult to study the biology of the disease and design possible treatments. Gomperts and her colleagues started with stem cells created using cells from adult lungs. They used those cells to coat sticky hydrogel beads, and then they partitioned these beads into small wells, each only 7 millimeters across. Inside each well, the lung cells grew around the beads, which linked them and formed an evenly distributed three dimensional pattern. To show that these tiny organoids mimicked the structure of actual lungs, the researchers compared the lab-grown tissues with real sections of human lung. Moreover, when Wilkinson and Gomperts added certain molecular factors to the 3-D cultures, the lungs developed scars similar to those seen in the lungs of people who have idiopathic pulmonary fibrosis, something that could not be accomplished using two-dimensional cultures of these cells. Using the new lung organoids, researchers will be able to study the biological underpinnings of lung diseases including idiopathic pulmonary fibrosis, and also test possible treatments for the diseases. To study an individual’s disease, or what drugs might work best in their case, clinicians could collect cells from the person, turn them into stem cells, coax those stem cells to differentiate into lung cells, then use those cells in 3-D cultures. Because it’s so easy to create many tiny organoids at once, researchers could screen the effect of many drugs. “This is the basis for precision medicine and personalized treatments,” Gomperts said. In addition to Gomperts and Wilkinson, other study authors are Preethi Vijayaraj, Abdo Durra, Dr. Steven Jonas, Manash Paul, Saravanan Karumbayaram and Bruce Dunn, all of UCLA, as well as Jackelyn Alva-Ornelas, Dr. Jennifer Sucre and Wade Richardson, who were at UCLA during the study. 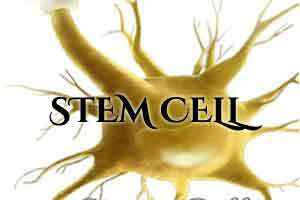 The study was published today in the journal Stem Cells Translational Medicine. The study and researchers involved were supported by grants from the National Science Foundation (an NSF Graduate Fellowship), the UCLA Broad Stem Cell Research Center, the Dave Steffy Stem Cell Research Fund for Idiopathic Pulmonary Fibrosis, the National Institute of General Medical Sciences (R01 GM114259-01) and the California Institute for Regenerative Medicine (CIRM RN2-009- 04 and CIRM 12-02).